Planetary nebulae are interesting deep-sky objects because they are very similar yet very different. ATEO-1 recently imaged NGC 7094. 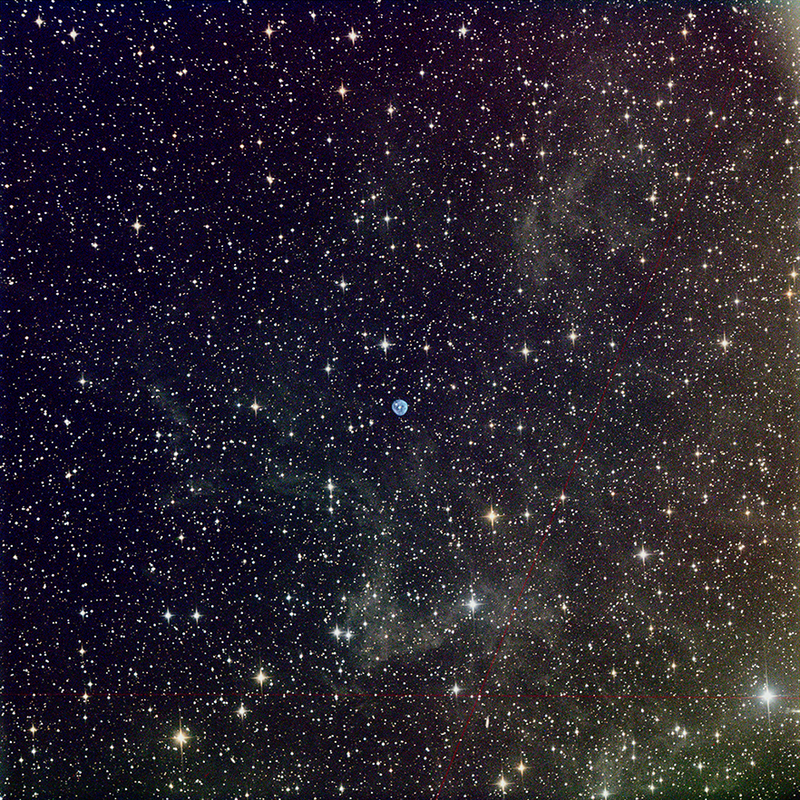 This relatively bright planetary nebula in the constellation Pegasus is embedded in this faint integrated flux nebula visible in this image cataloged as LBN152. The primary exercise of imaging the nebula was to demonstrate how the Proline 16803 CCD camera that is attached to the 16" f/3.7 astrograph remote online imaging telescope can not only capture a nice wide-field but also have the capability of zooming into a deep-sky object without losing very much resolution. 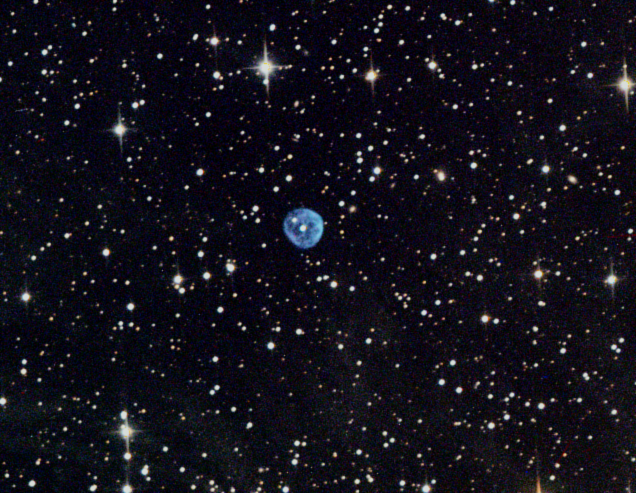 Planetary Nebula NGC 7094 in Pegasus cropped image on the 16" f/3/7 astrograph (ATEO-1) - Image by Insight Observatory. The image above is displayed at 100% and cropped for the purpose of concentrating on the planetary nebula itself. Below is the original sized field of view image of NGC 7094. Planetary Nebula NGC 7094 in Pegasus with original field of view on the 16" f/3/7 astrograph (ATEO-1) - Image by Insight Observatory. The central star of this nebula belongs to the class of PG 1159 stars - hydrogen-deficient post-AGB-stars on their way to the white dwarf cooling sequence. However, a fraction of them show small amounts of atmospheric hydrogen and are referred to as hybrid PG 1159 stars, which is the case for this object. We look forward to all of our ATEO Portal users capturing planetary nebulae displaying their unique characteristics.